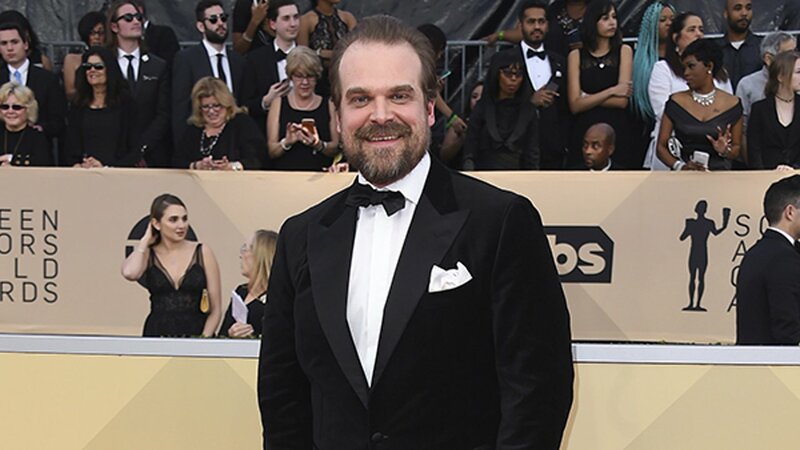 "Stranger Things" star David Harbour is willing to do a few favors for his followers. The actor responded to a fan's tweeted request that he officiate her wedding with a challenge. "125k retweets. Provided date works with s3 shooting schedule, I will get ordained and perform ceremony," Harbour replied in a tweet on Tuesday. "I get to read an esteemed love letter of my choosing, and after the cake is officially cut, I get the very first piece." Harbour's response had garnered more than 68,000 retweets by Wednesday morning, but the bride-to-be's initial tweet is trailing behind with 46,000. The tweet got enough retweets to fulfill the challenge in less than 24 hours, and Harbour agreed to officiate the wedding in Springfield in September. This isn't the first time Harbour has tasked a follower with a social media challenge. Earlier this month, he appeared in high school student's senior yearbook photo after she managed to have her request retweeted more than 25,000 times.